This is a great red and white bow. Perfect for any special holiday, school colors, or just that great red outfit. 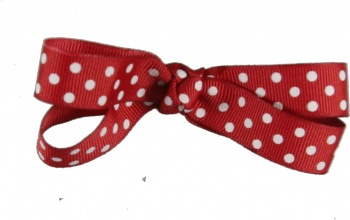 This red grosgrain ribbon has white polka dots all over it. The center is tied into a French knot with this same ribbon and it is attached to an alligator clip.